El Mouled (also known as Al Mawlid Al Nabawi) is a celebration of the birth of Prophet Muhammad (PBUH) and is widely celebrated by Muslim communities around the world. In Egypt, it is a festive occasion where pastry shops display traditional sweets known as “Halawet El Mouled”, with queues of Egyptian families buying boxes of them, and shops being colourfully decorated. 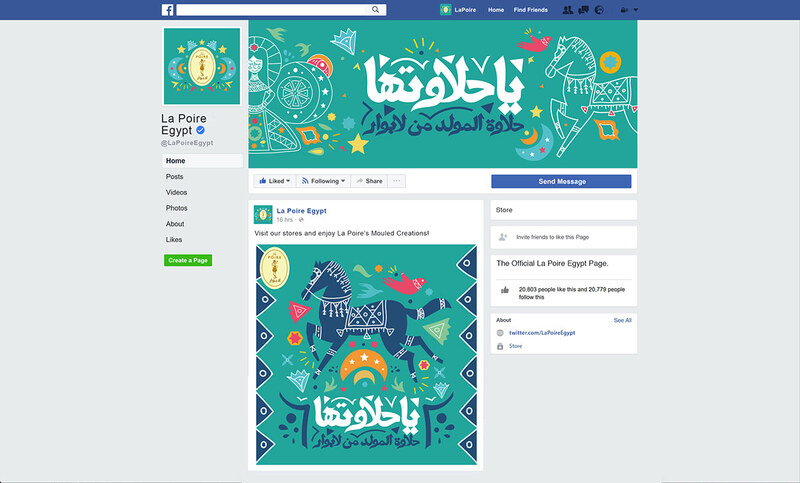 La Poire's (one of the most popular pastry shops in Egypt) Mouled campaign of 2017 was inspired from the colourful and unique Folk Culture in Egypt. 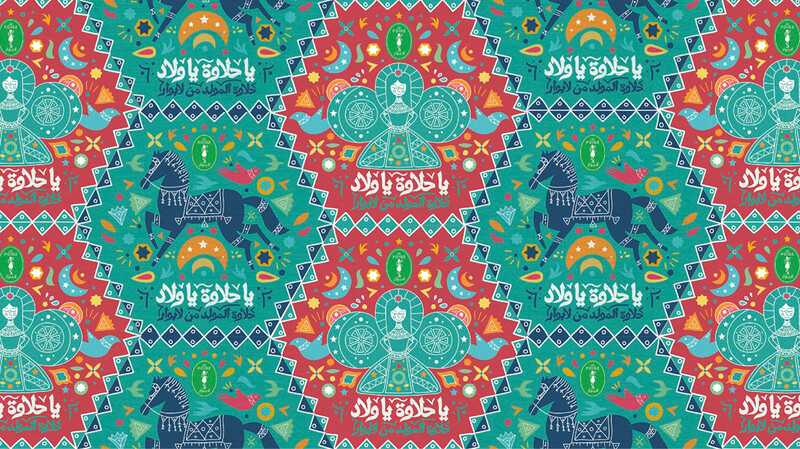 It features modernized illustrations of the Mouled Doll, horse and the Hamsa hand - all icons of Mouled in Egyptian Folk culture. 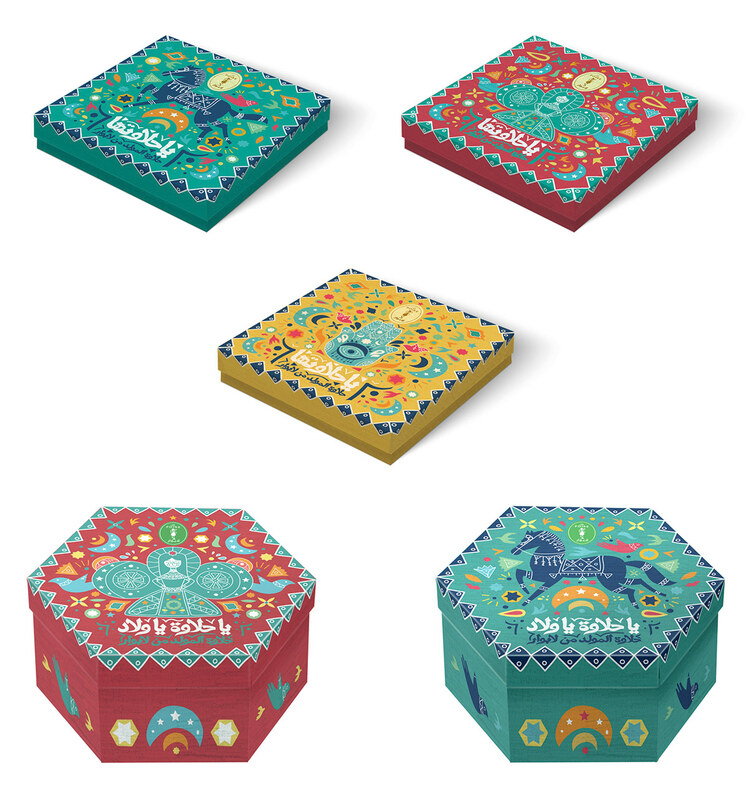 Matched with calligraphy inspired from Helmi El Touni's style, the illustrated pieces were created in different compositions used to decorate La Poire's branches across Egypt and its boxes of sweets. The history behind the Mouled doll was also thoughtfully researched and told in a short animated video that circulated around social media. 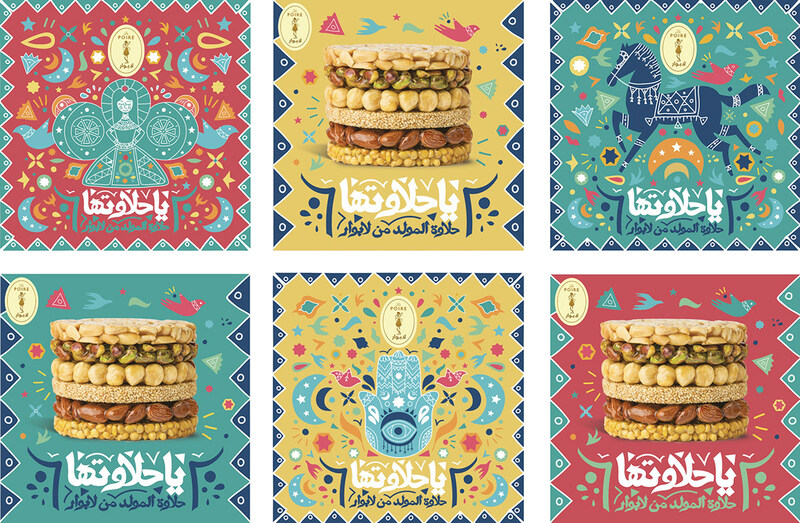 Illustrated by Habiba Elgendy, animated by Osama El Telbany, and Narrated by Ali Samaha, the video educated people and reminded them of Egypt's unique culture while boosting La Poire's presence in this large market of Mouled sweets. Using the Mouled Doll as an example, this is how each piece was developed from a simple sketch to a digitized illustration. THANK YOU FOR CHECKING MY WORK. FEEDBACKS AND APPRECIATIONS ARE ALWAYS APPRECIATED. 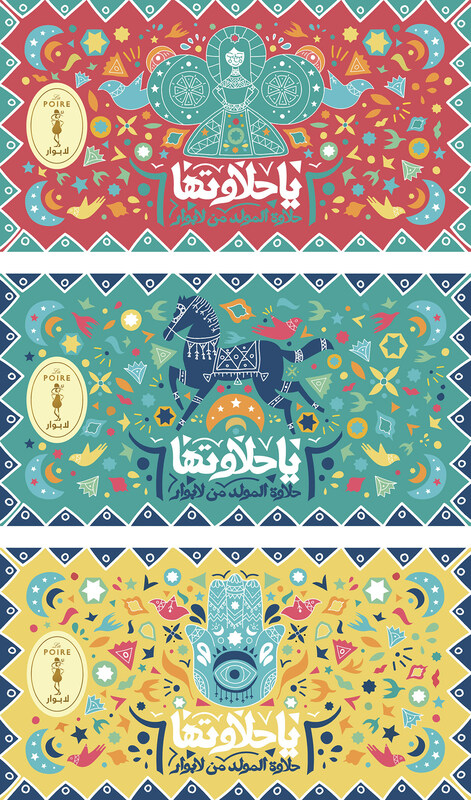 La Poire's "El Mouled" Campaign , featuring the revived folk culture of Egypt in colourful and bold illustrations. The Mouled doll, horse and the Hamsa hand are the icons of this 2017 campaign.